Torqeedo is supplying electric propulsion systems for a fleet of 15 new passenger excursion boats recently delivered to Vinpearl’s newest resort development at Hoi An, Vietnam. 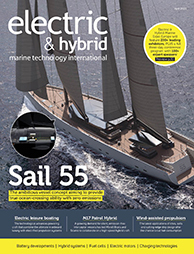 The 9m (29.5ft) FRP displacement craft, built by Song Lo Shipbuilding in Nha Trang, are powered by Torqeedo Deep Blue 80 inboard electric motors with BMW i3 lithium batteries. Vinpearl is the largest hospitality group in Vietnam with a chain of luxury hotels, villas and theme parks across the country. The new boats are being deployed at Vinpearl Land Nam Hoi An, a 62.4-hectare (154-acre) theme park that opened April 28. 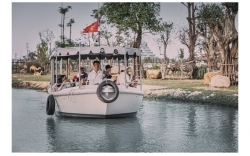 The Torqeedo-powered boats, which operate at average speeds of 3kts, are being used for sightseeing tours of the River Safari jungle habitat, as well as for entertainment in the replica Hoi An Old Town section of the park.